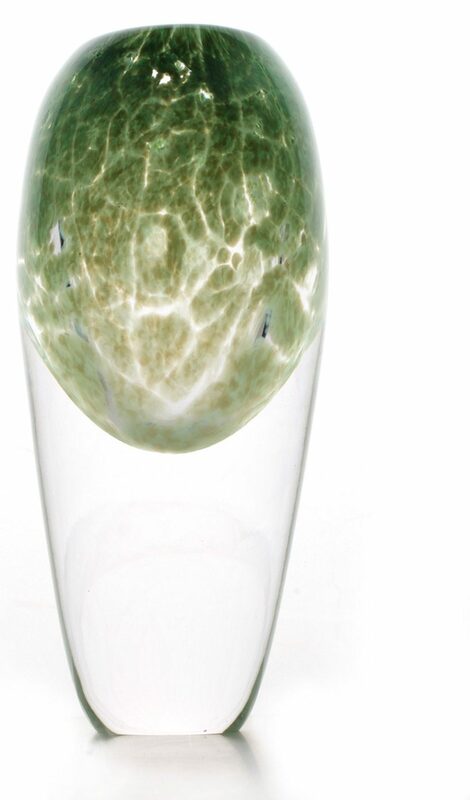 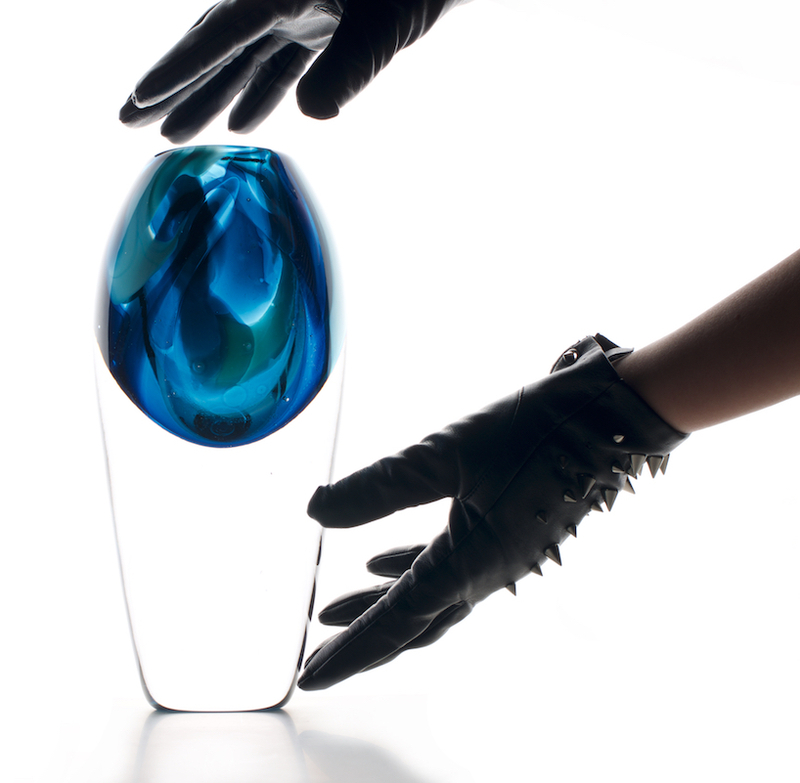 majuri‘s vases are mouth-blown and shaped by hand, signed and numbered — each piece has a unique color displayed inside the glass. 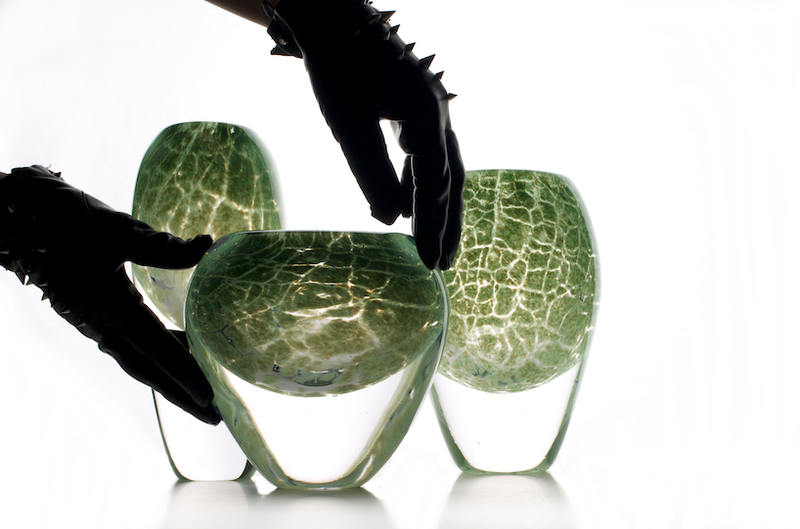 aiming to capture the natural beauty of glass as a material, majuri used simple shapes to reflect the serenity of the medium, while being weightless and strong at the same time. 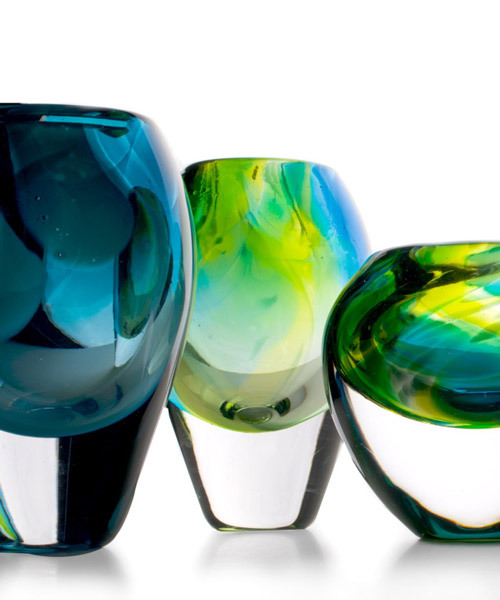 her intricate vase collection can be found at the international trade fair for interiors, inspiration and lifestyle in munich in 2018.